We manage all kinds of Social Events,Corporate Events, Birthday Parties,Wedding Planners & Lots more...We dedicate our time in constantly researching on new themes and concepts and devise creative ways to deliver your events from end-to-end. 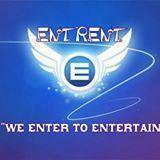 Entrent Event Management conducts classes in Decorators. It is located in Anna Nagar, Chennai. It takes Regular Classes- at the Institute.